This is not just a how to guide, but more of a friend walking you through the chaos when changing your whole lifestyle when you find out you have to go gluten free. Brand Recommendations - because I've been there and paid $7 for a bag of gluten free pasta that was so bad even my dog wouldn't eat it. Kitchen Staples - how to clear out your kitchen and know what needs to be replaced. 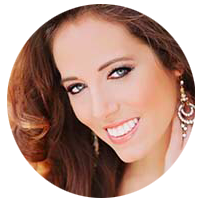 I’m Jenna, and I am a Certified Mind Body Fitness Coach, Personal Fitness Chef & digestive wellness specialist. I work with women, like you, who are dealing with digestive issues (maybe even an autoimmune disease like Celiac Disease), want to ditch the constant fatigue, win the bloat battle, reduce food allergies, reset their metabolism, and balance hormones. After years of struggling with side effects of Celiac Disease, I discovered the power of cleansing seasonally and using essential oils. Module 1: What is Gluten?